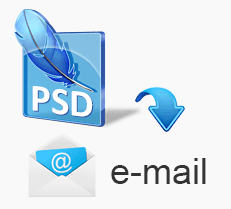 PSD to Email. We can convert your existing design to email friendly html and test it across all major email clients.Convert your PSD into HTML email template. We convert your PSD design to a user friendly HTML email template. √ Affordable price √ 100% hand coded & tested.